Professor Tamara Walsh has degrees in both Law and Social Work, and her interest is in social welfare law. Her research studies examine the impact of the law on vulnerable people including children and young people, people experiencing homelessness, people on low incomes, people with disabilities, mothers and carers. Most of her studies are sociolegal and empirical in nature, and she draws on human rights discourse and social exclusion theory to explore the influence that the law has on complex social problems. Her research has spanned 15 years and has been widely published, both in Australia and internationally. In 2008, Tamara designed and established the UQ Pro Bono Centre, along with Dr Paul O'Shea and Prof Ross Grantham. The UQ Pro Bono Centre facilitates student and staff participation in pro bono legal activities, particularly public interest research and law reform. It is now a flagship program of the Law School. In 2010, Tamara established the Manning Street Project, a joint initiative between the TC Beirne School of Law and Caxton Legal Centre, which engages students in action-research on a volunteer basis to contribute to the law reform activities of the community legal sector. 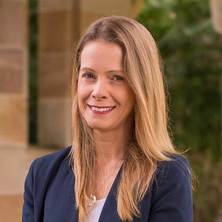 In 2016, Tamara established the UQ Deaths in Custody Project, which she runs in partnership with a team of pro bono law students and IT staff. This Project monitors deaths in custody across Australia, and administers a public website which is an important resource for researchers, coroners and members of the public: www.deaths-in-custody.project.uq.edu.au. Tamara is currently the lead researcher of the ARC Linkage project 'The criminalisation of poverty and homelessness: A national study' (2017-2019). She is also completing a project on the impacts of the child protection and youth justice systems on vulnerable young people, and she has been instrumental in the proposed establishment of a Community Justice Centre in southeast Queensland. Tamara undertakes pro bono legal practice in the area of child protection, and she lectures in human rights law and constitutional law. Journal Article: Adolescent family violence: what is the role for legal responses? Walsh, Tamara (2018) Keeping vulnerable offenders out of the courts: lessons from the United Kingdom. Criminal Law Journal, 42 160-177. Walsh, Tamara (2018) Video links in youth justice proceedings: when rights and convenience collide. Journal of Judicial Administration, 27 4: 161-181. Walsh, Tamara (2015) New Zealanders in crisis in Australia: the absence of a social safety net. New Zealand Universities Law Review, 26 3: 673-702. Walsh, Tamara (2014) Homelessness legislation for Australia: a missed opportunity. University of New South Wales Law Journal, 37 3: 820-846. Adolescent family violence: what is the role for legal responses? Walsh, Tamara Homelessness and the law. Leichardt,NSW, Australia: Federation Press, 2011. Walsh, Tamara K.E. (2004). Professionalism. In Sharton Christensen and Bill Duncan (Ed. ), Professional Liability and Property Transactions 1st ed. (pp. 2-24) Australia: Federation Press. Walsh, Tamara K. E. (2004). Professionalism. In Sharon Christensen and Bill Duncan (Ed. ), Professional liability and property transactions (pp. 2-24) Sydney, Australia: The Federation Press. Walsh, Tamara (2017) La mise sous tutelle des prestations sociales: l’exemple des cartes d’allocations prépayées. The comparative labour and social security law review, 3 182-187. Walsh, Tamara (2017) Balancing rights in child protection law. Australian Journal of Family Law, 31 47-72. Walsh, Tamara (2016) 'Public order' policing and the value of independent legal observers. Current Issues in Criminal Justice, 28 1: 33-49. Walsh, Tamara K.E. (2016) Ten years of public nuisance in Queensland. Criminal Law Journal, 40 59-73. Walsh, Tamara (2015) Criminal justice research and how I realised I know nothing. Pandora's Box, 2015: 17-24. Walsh, Tamara K.E. (2015) Negligence and special needs education: the case for recognising a duty to provide special education services in australian schools. Education Law Journal, 18 1: 32-50. Walsh, Tamara (2014) 'Homelessness and the law: constitution, criminal law and human rights', by Gijsbert Johan Vonk and Alerbtjan Tollenaar (eds). European Journal of Homelessness, 8 2: 293-296. Juvenile economic sanctions: a logical alternative? Walsh, Tamara (2012) Adjustments, accommodation and inclusion: children with disabilities in Australian primary schools. International Journal of Law and Education, 17 2: 23-38. Walsh, Tamara (2011) Defendants' and criminal justice professionals' views on the Brisbane Special Circumstances Court. Journal of Judicial Administration, 21 2: 93-108. T Walsh (2008) Policing Disadvantage: Giving Voice to Those Affected by the Politics of Law and Order. Alternative Law Journal, 33 3: 160-164. T Walsh (2008) Poverty, Police and the Offence of Public Nuisance. Bond Law Review, 20 2: 198-215. Walsh, T. K. E. and Taylor, M. (2007) 'You're not welcome here': Police move-on powers and discrimination law. University of New South Wales Law Journal, 30 1: 151-173. Walsh, Tamara K.E. (2007) Poverty in Australia: Poverty and the Criminal Justice System. Alternative Law Journal, 32 2: 108-109. Walsh, T. K. E. (2007) Putting justice back into legal education. Legal Education Review, 17 1&2: 119-142. Walsh, Tamara (2007) Suffering in silence: Prohibitions on interviewing prisoners in Australia, the US and the UK. Monash University Law Review, 33 1: 72-89. Walsh, T. K. E. (2007) The Queensland special circumstances court. Journal of Judicial Administration, 16 4: 223-234. Walsh, Tamara (2006) A right to inclusion? Homelessness, human rights and social exclusion. Australian Journal of Human Rights, 12 1: 185-204. Walsh, Tamara K. E. (2006) The Corrective Services ACT 2006 (QLD): An erosion of prisoners' human rights. Bond Law Review, 18 2: 143-164. Walsh, Tamara K. E. (2006) The impact of Coleman v Power on the policing, defence and sentencing of Public Nuisance Cases in Queensland. Melbourne University Law Review, 30 1: 191-211. Walsh, Tamara (2005) Won't pay or can't pay? Exploring the use of fines as a sentencing alternative for public nuisance type offences in Queensland. Current Issues in Criminal Justice, 17 2: 217-238. Walsh, Tamara K. E. (2005) Social security or social exclusion?. Parity, 18 1: 79-80. Walsh, Tamara (2005) Offensive language, offensive behaviour and public nuisance: Empirical and theoretical analyses. University of Queensland Law Journal, 24 1: 123-145. Walsh, Tamara K. E. (2005) The overruled underclass : The impact of the law on Queensland's homeless people. University of New South Wales Law Journal, 28 1: 122-144. Walsh, Tamara and McDougall, Scott (2004) Nuisance to the public or nuisance to the police: the impact of Coleman on the policing of public space offences. Proctor, 24 9: 24-26. Walsh, Tamara (2004) Who is the 'public' in 'public space'? : a Queensland perspective on poverty, homelessness and vagrancy. Alternative Law Journal, 29 2: 81-86. 'Reforms' to the Vagrants, Gaming and Other Offences Act: what do they achieve? Walsh, Tamara (2004) 'Reforms' to the Vagrants, Gaming and Other Offences Act: what do they achieve?. Proctor, 24 1: 23-24. Walsh, Tamara K. E. (2004) Legal issues confronting people who are homeless. Parity, 17 1: 38-40. Walsh, T. K. E. (2004) Defending begging offenders. Queensland University of Technology Law & Justice Journal, 4 1: 58-76. Walsh, Tamara and Klease, Carla (2004) Down and Out? Homelessness and citizenship. Australian journal of human rights, 10 2: 77-104. Walsh, T. (2003) Breaching the right to social security. Griffith Law Review, 12 1: 43-63. Walsh, Tamara (2003) Waltzing Matilda one hundred years later: Interactions between homeless persons and the criminal justice system in Queensland. Sydney Law Review, 25 1: 75-95. Walsh, Tamara K. E. (2002) Accounting for the Environment. Environmental and Planning Law Journal, 19 5: 387-397. Walsh, T. K. E. (2002) Accounting for the environment. Environmental and Planning Law Journal, 19 5: 387-397. Walsh, Tamara (2019). Homelessness and the law. In: National Access to Justice and Pro Bono Conference, Canberra, ACT, Australia, (). 13-15 March 2019. Tamara Walsh (2018). History of the UQ Deaths in Custody Project. In: UQ Deaths in Custody Project Launch, The University of Queensland, (). 1 August 2018. Walsh, Tamara (2018). Young women in the criminal justice system. In: Queensland Youth Justice Strategy Expert Forum, Brisbane, QLD, Australia, (). 7 September 2018. Walsh, Tamara (2017). Panel discussion. In: Homelessness in the 21st Century Australian City, Deakin University Melbourne Campus, Melbourne, (). 18 December 2017. Walsh, Tamara (2017). Panel discussion. In: Troubled or Troublesome? Justice with Compassion for Our Young People, Brisbane, Qld Australia, (). 20 November 2017. Walsh, Tamara K. E. (2016). Freedom to Be a Mother: The Impacts of Women's Criminalisation on Child Protection. In: Sisters Inside Conference, Brisbane, (). 21 October 2016. Walsh, Tamara K. E. (2016). Legal Research in Child Protection: What Judicial Officers Say About the Child Protection System. In: Child and Family Welfare Symposium, University of Melbourne, (). 26 October 2016.